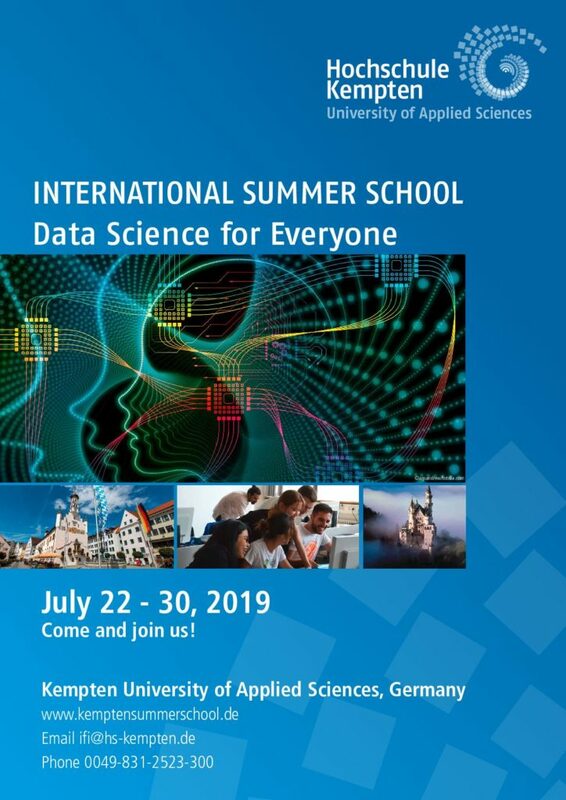 I really enjoyed my time at Kempten International Summer School. From coding to hiking it was a splendid experience all the way. We dived into the world of data science and got some hands on experience about how data can be useful not just for mathematicians, but well, for everyone. Looking forward to the new edition of this school. Claudia and Prof. Staudacher went above and beyond to make us feel like home and very comfortable. Everything was perfect. What I loved most was the combination between theory and practice. Kempten Summer School exceeded my expectations and it was an honour and pleasure to meet all you guys in Kempten. My experience in Kempten was so fantastic! Good teachers, good program, enthusiastic atmosphere. I really enjoyed my time there. The world is much bigger for me thanks to the new things that I have studied. This must be one of the best experiences I have ever had during my time studying in Europe. Thank you everyone! I really hope to come back here one day. I liked the way how Kempten Summer School was organized. The organizers and persons who were in charge did all the best in order to create a positive and proper atmosphere during the whole period. All the material was explained and taught clearly and we got any assistance when needed. The social program was perfect and I got to know many new people from different countries all over the world. 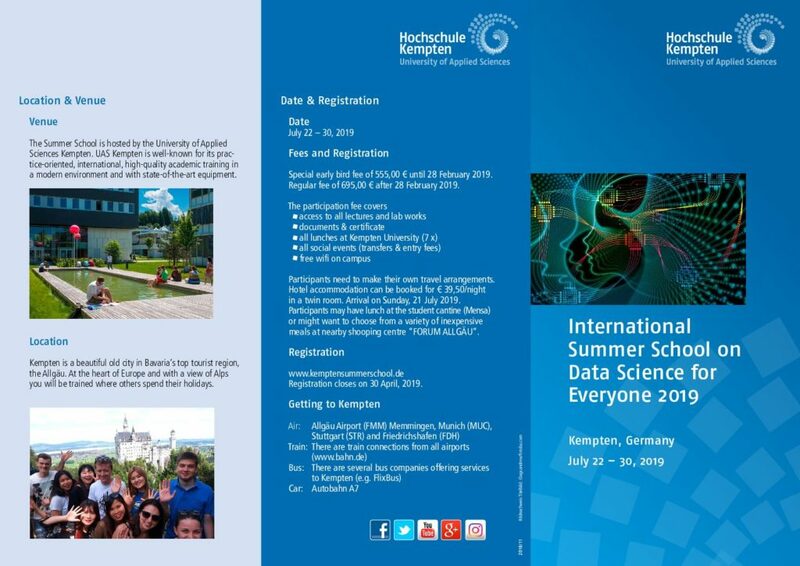 Overall I enjoyed my time at Kempten International Summer School. Kempten Summer School was an amazing experience! Much more than what I ever imagined. All the classes and the social program were excellent and leading to two unforgettable weeks. I enjoyed too much both lectures and the social program as a whole. I learned some new programming and got to know new cultures from all around the world. The organization of Kempten Summer School was very good and there was an awesome social program around it. That gave the group the opportunity to grow together. I made many friends and wouldn’t want to miss it. The course startet at zero, so no previous knowledge was required. The lecturers always took care that nobody was left behind and the tutors were really helpful. I learned a lot on this Summer School at Kempten. It is a great place with really friendly and welcoming people. I wish I could learn more about R. It was great! I really enjoyed funny times with lots of R, logical thinking and people from all over the world.